Is Bollywood’s ‘Batti Gul Meter Chalu’ really a copy of Lollywood’s ‘Actor in Law’? By Mehrooj Rai Published: August 21, 2018 0 SHARES Share Tweet Email Those who are going to the lengths of declaring Bollywood has copied a Pakistani film should hold back their horses. The trailer for Batti Gul Meter Chalu, scheduled for release on September 21st, was recently released to acclaim. The film, helmed by the Toilet: Ek Prem Katha director Shree Narayan Singh, stars Shahid Kapoor and Shraddha Kapoor alongside Divyendu Sharma and Yami Gautam. The film’s theme is truly commendable, for this is perhaps the first Bollywood film dealing with the subject of electricity theft. 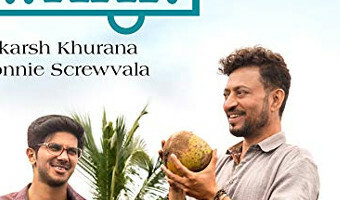 The film is essentially an issue-based commentary on the subject of power theft and skyrocketing electricity bills in the mofussil areas of India.Shahid is a cheerful and carefree advocate, but his life changes completely when his friend (Sharma) commits suicide under the pressure of paying a hefty amount of Rs1.5 lakh as his electricity bill. From that moment, the sole purpose of his … [Read more...] about Is Bollywood’s ‘Batti Gul Meter Chalu’ really a copy of Lollywood’s ‘Actor in Law’?